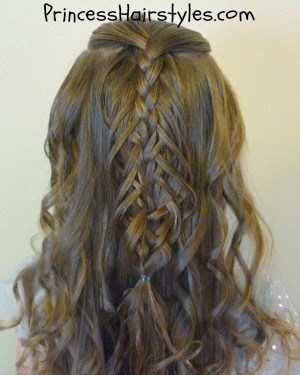 We have been enjoying this fun "scallop edge braid" and have used it to make a variety of cute hairstyles recently! There was a picture posted on our facebook page awhile back by one of our readers, which was a french braid or dutch braid with the edges of the plait flared out and woven. We decided to try and recreate that braid, but without the french braiding (to simplify it a bit) and this is how it turned out! Btw, I wish I could find that picture now to show you. But, facebook has made some changes to the way things are displayed on our page and I'm finding it very difficult to find older pictures on there now. UGH. Her hair is getting quite long now, isn't it? I'm loving it with curls! 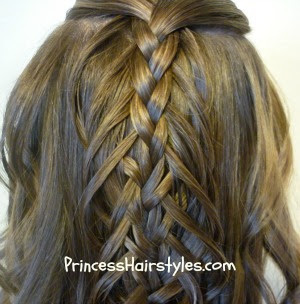 I think this would be a cute hairstyle for a flower girl, wedding, church, recital, school, or even a renaissance faire. 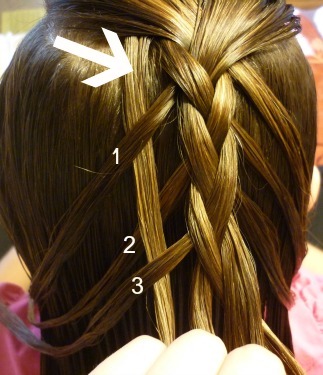 Below is one more fun variation to try with this braid! 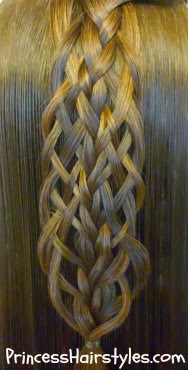 Making this slight change as you are braiding will result in the braid turning out much more intricate! Me encantan tus peinados!! Te sigo por todos tus canales! Te admiro muchisimo! 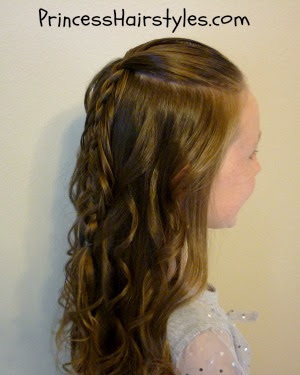 guess i'll still have to wait for my daughter's hair to grow long again :) Any tips on how to make her hair grow faster?? It was in June when i cut her hair into "chin length" and now it's November & her hair is up to her shoulder blades at the back. https://www.facebook.com/photo.php?fbid=3037584877265 is it this one? Thanks for all your hairstyle ideas! I do my hair by myself every morning before I go to school and I LOVE all things I can do!!! I also babysitt some little girls and do their hair in the mornings with the toddler styles. Thanks!!!! One of your best blog yet! Is there an easy way to do it on yourself?